Free ground shipping on all orders within the Continental United States! 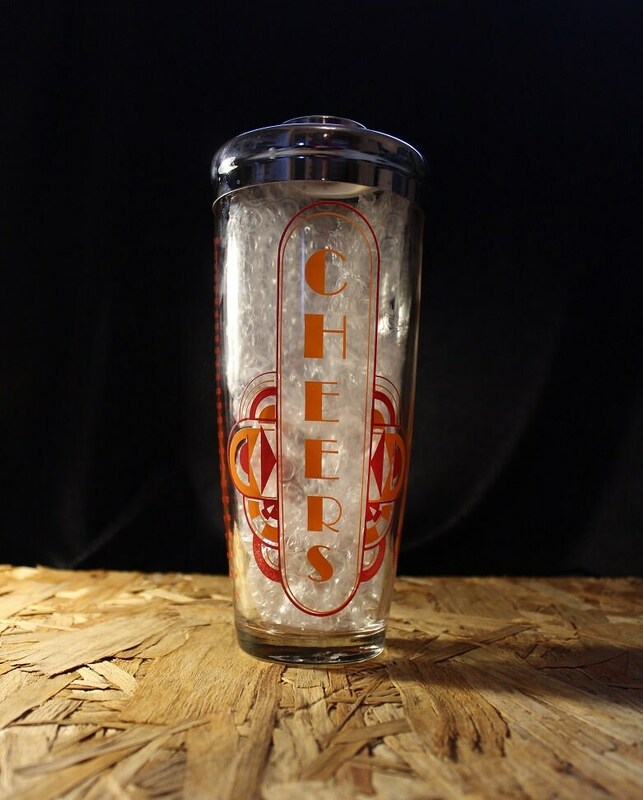 This glass hand cocktail shaker was made by Irvinware during the 1970s. 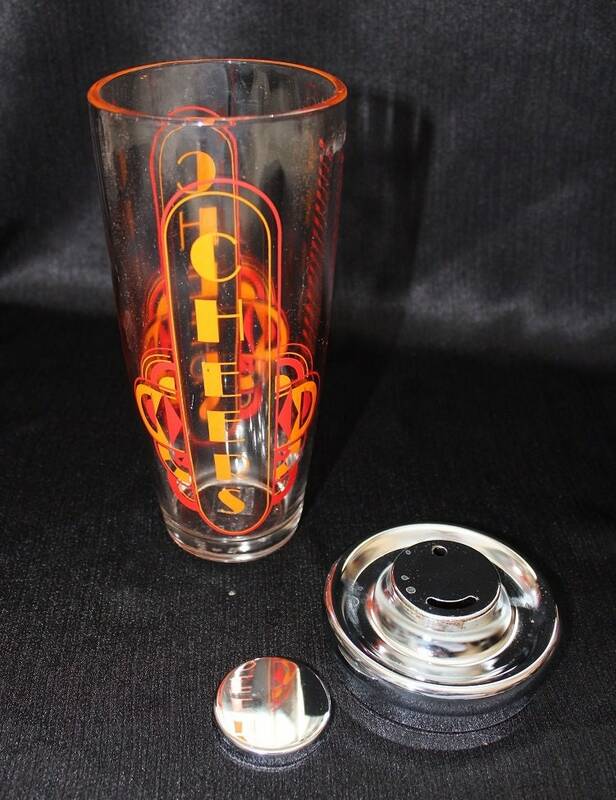 It consists of a glass cocktail shaker glass with a chrome lid. 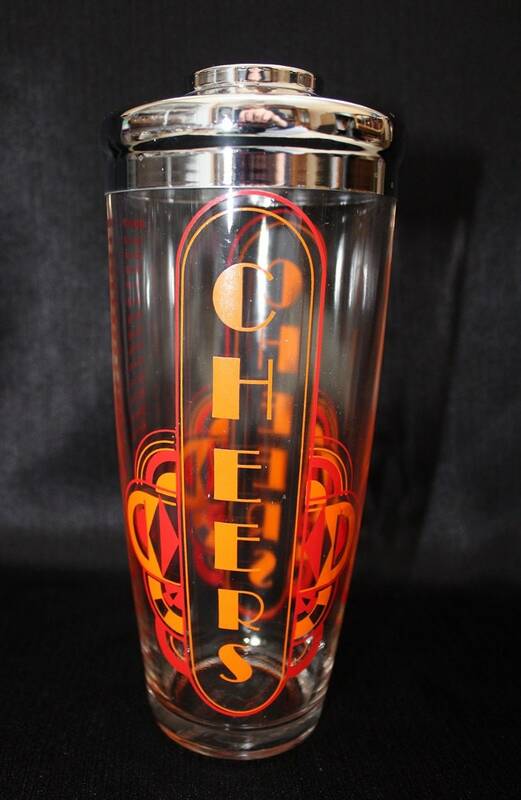 Illustrated in an Art Deco design is an orange and red geometric pattern highlighting the word "CHEERS" in orange font. 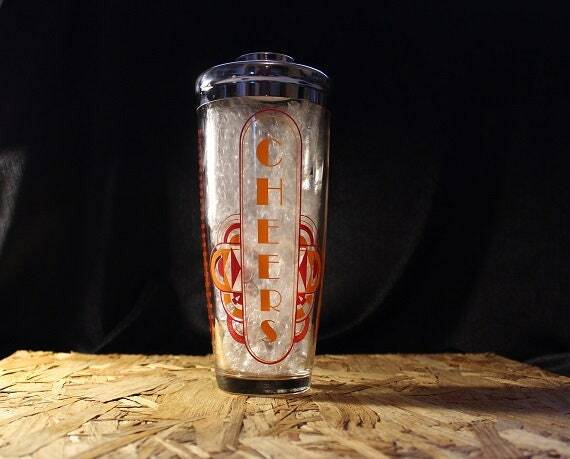 "CHEERS" runs vertical on both sides of the shaker. 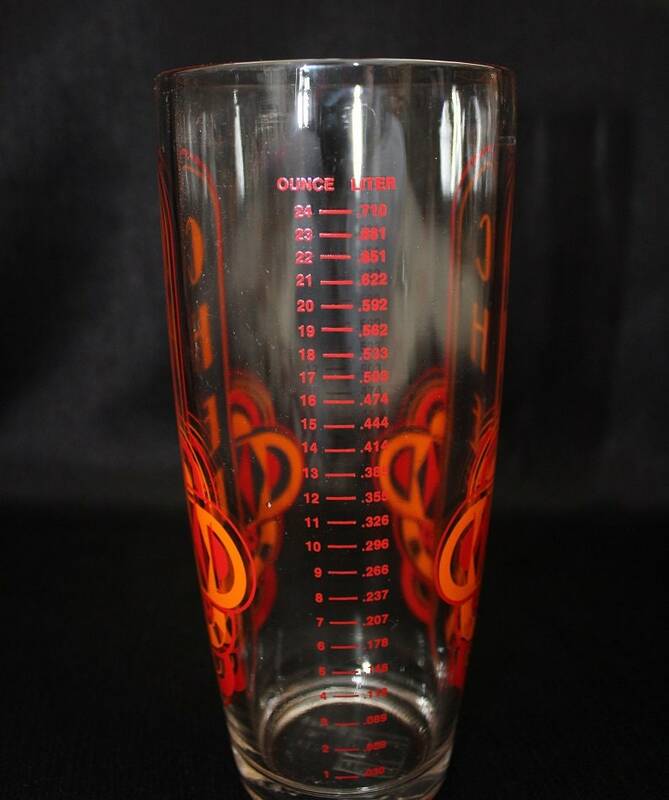 On one side of the glass is an ounce and liter measuring guide in red font. The mixing glass is topped with a flat-topped lid which features a built in slit strainer. Inside the lid is a rubber sealing ring . The lid fits tight on the glass. The bottom of the shaker is marked "Irvinware" and "made in the USA" . 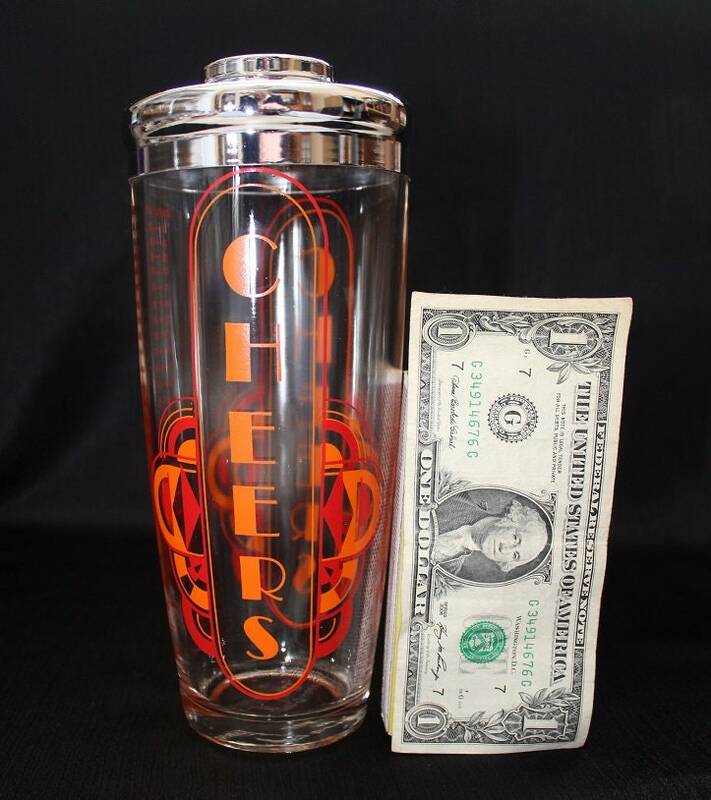 This cocktail shaker is in nice condition with no chips or cracks, however, there are some scratches along the top and on one side of the shaker. The chrome top has minimal surface wear, but on the inside, there is some wear to the chrome. Thanks for your consideration and have a great day! Payments are accepted securely through PayPal, credit cards, debit cards, or Etsy gift cards. We will ONLY ship to the shipping address that you choose at time of payment. •Items are only shipped within the Continental United States. At this time, we do not ship outside the United States. •Most items ship via standard USPS or FedEx ground and will have a delivery confirmation number which can be used to track your order. We will consolidate shipping charges on multiple orders. Please contact us if you would like your purchase shipped differently. •Orders ship between 1 to 3 business days after payment is made. We can not control delivery times after the item has shipped. •Insurance is provided for the item. •Any shipping damage must be reported within 24 hours to be claimed. Please do not discard any shipping materials. Due to the nature of our vintage pieces, all items are sold "as is." Please keep in mind that many of these items are gently used and may have minor imperfections. We exam each piece thoroughly and will do our best to disclose any flaws within the item. If an item is broken\damaged upon receipt, please contact us within 24 hours of receipt of the item. Refunds will be made upon receipt of the returned item or photos showing damaged items. Please note: return shipping is non-refundable. 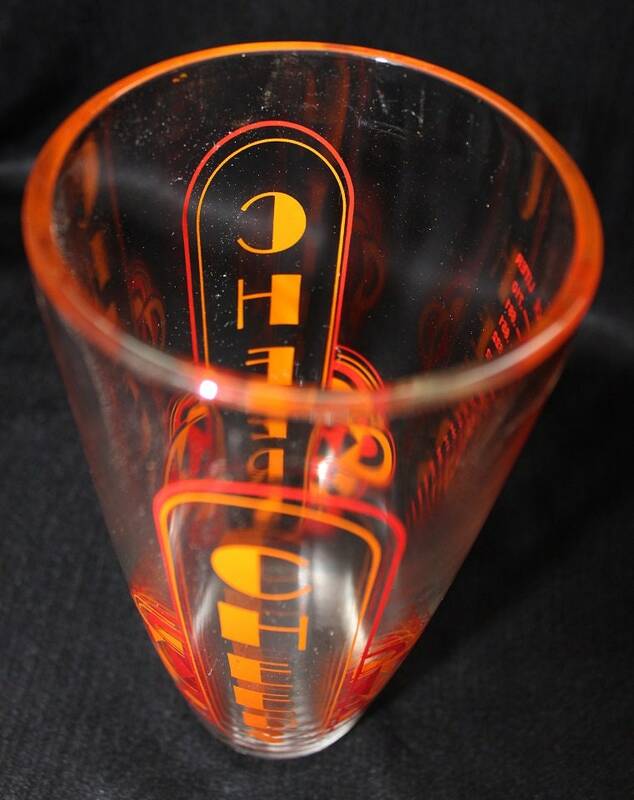 •The majority of what we sell is from estate sales and auctions. Please keep in mind that many of these items are gently used and may have minor imperfections. We exam each piece thoroughly and will do our best to disclose any flaws within the item. •All items and contents are described to the best of our ability. We examine all items and supply all available Make/Model information. •Please see item photos for compete details and condition. Please contact us if you would like to see additional photos.